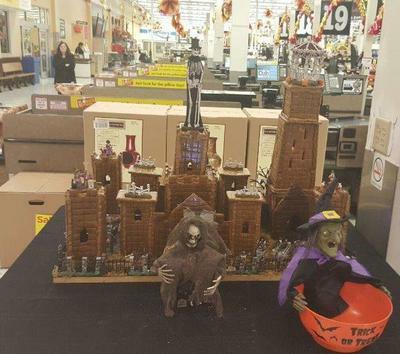 Ed from Knollwood Bakery kindly shared this photo with us of this year's haunted gingerbread house. It looks like they used both the castle and the clock tower templates. Beautifully creepy, huh?